The species is widespread in much of Britain, more scattered and patchy in the north. It is widespread in western and central Europe. Z. x-notata conceals itself within a silk-tube retreat situated above an orb web with its distinctive missing sector. 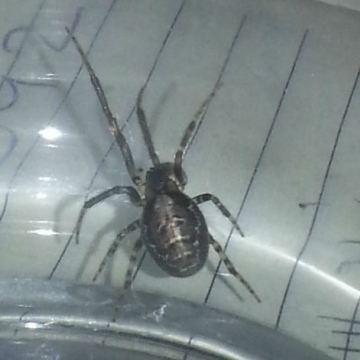 This spider is typically found on buildings and street furniture and is often found in the outside corners of windows. Specimens have also been discovered on cliffs and on bushes, especially near habitation. Adults have been recorded throughout the year, but mostly in late summer and autumn. Single egg-sacs, covered loosely with yellow silk, are produced in autumn and winter and are affixed to solid surfaces. Spiderlings emerge from the egg-sacs in spring.